Studying abroad is your opportunity to gain a world outlook, confidence and most importantly, the skills you need to fulfil your potentials. 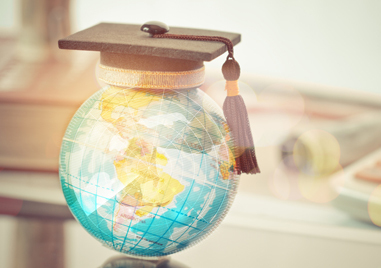 Applying to study internationally is a straight forward process however it can be a very confusing process for international students when they do not understand the requirements of the schools. It is important you allow 4-8 weeks to arrange your visa and campus accommodation. In other to serve you better, Jollof Travels would like to ask you a few questions. Would you like our visa advisory Service? Course of study advisory service ? Would you require Jollof Travels to submit admission documents to college and university overseas? Would you require flight tickets for both students and parent? Would you like Jollof Travels to arrange with the school for formal reception of students at the airport? Would you require an attorney & medical coverage of students while in school, in case of emergencies? Would you require career support for students after college? Would you require networking with international students and mentors? Area of Study in which you are interested. Have you traveled outside Nigeria before?